Elgyem in game: 2,422 Who? Important notice! Pokemon Elgyem is a fictional character of humans. Elgyem (Japanese: ?? 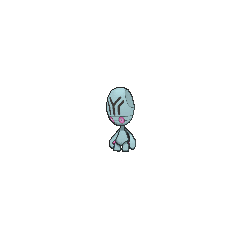 ?— Ligray) is a Psychic-type Pokémon introduced in Generation V.
Elgyem is a light blue extraterrestrial Pokémon with an oblong head with depressions on either side. It has black, symmetrical lines going down the front of its head. On the front of its head are shiny, green button-like eyes. Its hands have three finger-like digits: one red, one green, and one yellow. It has short, stubby legs and a small tail. 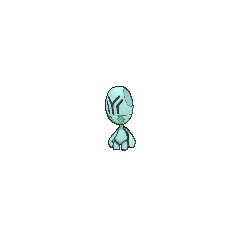 Elgyem controls incredible psychic power, which it uses to squeeze its opponent’s brains, causing them headaches. Elgyem made its debut in A UFO for Elgyem! as the friend of Professor Icarus. It tried to help others by giving them visions of impending danger to help prevent the accident from happening but this only caused suspicion and drew attention to Professor Icarus's household. It befriended Ash and his friends when they too came to investigate, and even saved Ash's life after showing them a vision of Ash falling through a weak board on a bridge. It was later kidnapped by Team Rocket and Ash, Iris, and Cilan came to its rescue and reunited it with Professor Icarus. Another Elgyem appeared in Climbing the Tower of Success! under the ownership of Ricky. An Elgyem appeared in A Maractus Musical! as part of a Pokémon Musical show alongside a Bouffalant. An Elgyem appeared in Alexa's magazine in The Journalist from Another Region!. 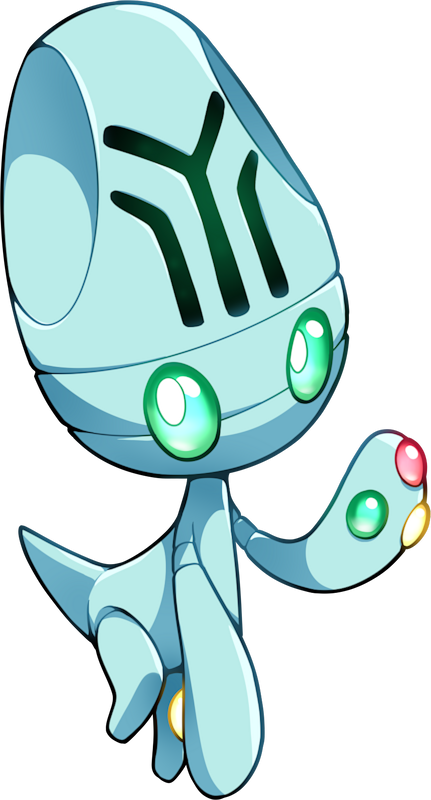 An Elgyem appeared in Big City Battles and Special Delivery. Elgyem is based on greys, one of the more popular kinds of alien. Its rocky physical appearance may be a reference to the stone circles of Europe, which were allegedly created by visiting extraterrestrials. The colored dots on its hands resembles the colorful faces of the invaders in the 1953 War of the Worlds film; however, the aliens in the film had green, blue and red dots while Elgyem has red, green and yellow. 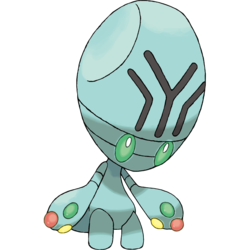 Judging from its Pokédex entry, Elgyem and its evolution may also be based on the Area 51 alien conspiracies or the Roswell incident. Considering its species names, physical appearance, and powers, it may also be based on a brain. Japanese ?? ?— Ligray From greys; possibly also a contraction of ??????—?? ?